There are many reasons why Error Retrieving Information from Server RH-01 is happening when you try to download an app or game from Google Play Store. It is quite difficult to say what exactly is the reason behind this. Sometimes incorrect system settings contribute to the Error RH-01, sometimes bugs and glitches are on Google’s server side. If you can’t download an application from Play Store because of the Error Retrieving Information from Server RH-01, this article will give you some basic tips what you can do to fix it. Important! Since Error RH-01 could be caused by server-side issues, part of this article or even entire article at all may not help you. How to Fix Error RH-01 in Google Play Store? If you are stuck with Error RH-01 on Android, start with the simplest method. Rebooting your phone in many cases fixes everything that went wrong. Turn your phone off and leave it for 5 minutes. Turn it back on and try to download again. 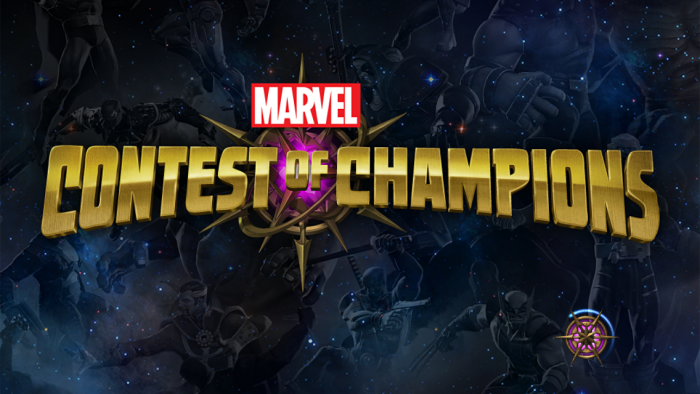 Next step – check your connection. Switch from cellular network to Wi-Fi or from Wi-Fi to cellular. Also, try to connect to another Wi-Fi hotspot. Error RH-01 indicates that the device could not receive information from the server. A bad connection could be the reason for that. Another way to fix Error RH-01 on Android is to connect to the VPN. 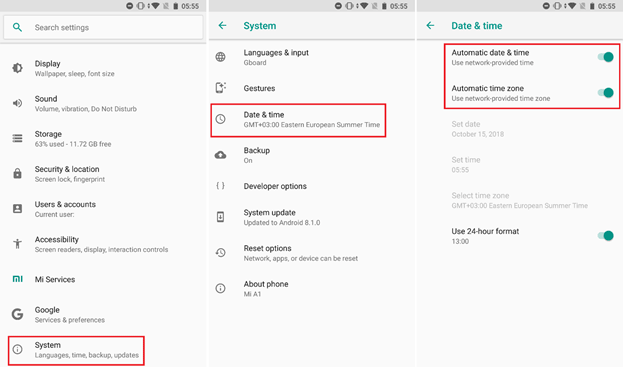 Error Retrieving Information from Server RH-01 might appear if your Android device has the incorrect date and time settings. This can happen if a phone or tablet has been discharged for a long time or has no SIM card inserted. Close Google Play Store (remove it from recent apps screen), open back and try to download the app again. Everything should working fine now. 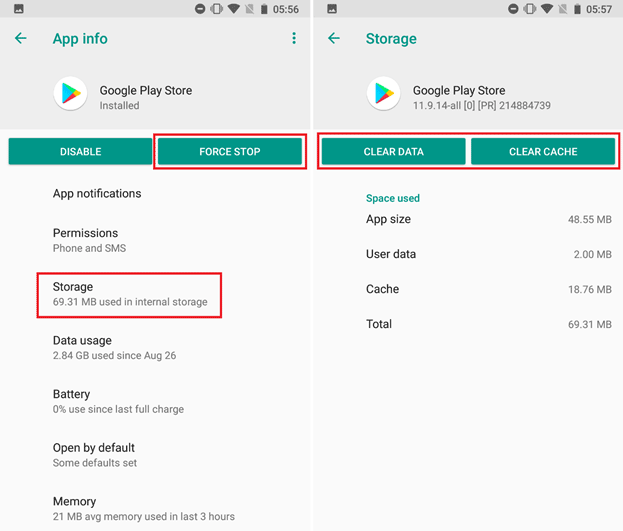 Incorrect date and time is the most common reason of the Error RH-01, but if the method above did not help you follow the instruction below and try to delete Google Play Store cache and data. Check whether you disabled some Google play frameworks or default apps related to the Play Store. Turn them back on. This applies to devices with custom ROMs or unofficial ways to access the Play Store. If Error Retrieving Information from Server RH-01 still bugs you, try to remove your Google Account and set it up back. Open Google Play Store and sign in with your Google Account. You can also try installing different Google Play Store and Google Services apk but be sure to download it from a reliable source. We recommend ApkMirror. Enable installing apps from unknown resources and install downloaded apks. Backup important data and perform hard-reset. Set up everything from the scratch and try again. If this did not help, we recommend you to install apps you need using APK file and patiently wait for the problem to disappear. Just like we mentioned at the beginning of the article, this might be a server-side issue. If Error Retrieving Information from Server RH-01 appeared after installing custom ROM (or rooting device), roll back to the official software or try installing different ROM. Thank u soo much. My Google play store is working after removing Google account and again by adding it. I have a big problem with my samsung galaxy mega phone. At first it has a problem. When I download apps, it only shows download status bar but never downloaded or it downloads but stops at 95%. After I clear data and uninstall updates for google play and clear data of google play services, google services framework and download manager, the play store kept on displaying “error while retrieving information from server[RH-01]. Tried all different methods but could not work. Please help me with this issue. when i remove my Google account. what can i do for remote google account. Tried all of the above steps, however I still have the same rh-01 reading on my Samsung galaxy s3mini. Thank you for taking the time to post this. I have had this problem with my Samsung S3 mini for nearly 2 years. Methods 1 & 2 did not work. When trying method 3 and press Google in accounts, I get the message ‘Sync is currently experiencing problems. It will be back shortly’ but it never comes back. Any ideas how to fix this? None of the three methods worked. I still get the message redeem. They ask for a code. Then I get the message error RH-01. I have performed all 3 methods and am still getting the rh-01 message! Is there anything else I can do to fix my phone?? Tried all 3 methods and none of them worked so what else can I do? Thank you man re adding my account finally fixed it Thank you! I’ve tried. all of these “solutions,” and … still the same “(RH-01)” error. Awesome! Method 3 worked for me, Thanks! Thanks a bunch for everything you provide ! You Sir are an awesome person. Tried all of your tricks.but didn’t solved. I tried all three of these and I continue to get the error code. Please help. Now other apps are acting up because they need updating. If it helps any, I have a Kyocera. Thank you for all of your support, I look forward to hearing from you. Hello, I have tried all of the methods but I am still having the same issue. I have a LGL34c, Android version 4.4, kernal version 3.4.0+. Any help would be greatly appreciated. I had this same issue with the same phone, got it late 2014. I have tried all 3 Method and still get error RH-01 as soon as I hit playstore any help…. Did all of the above, made absolutely no difference. I followed the instructions on this and a dozen other forums and youttube vidoes, tried every combination of clearing data/cache from every app/service plus removing/adding my login and reinstalling google play with restarts at all suggested points and none of it made any difference – I still had the RH-01 error. As a last resort I restored my android tablet to factory settings and that worked. It took me far less time to bring the tablet back from that to a usable state than I spent trying all of the less-drastic suggested solutions to this problem. Yeah here it is April, 2017 and I have seached ALL OVER the internet to find a solution to this “Redeem coupon” and RH-01 problem. I’d like to to remove my Gmail account but I do not even have this tab on the bottom as suggested above. Basically I CANNOT remove my Gmail account! That’s actually what Google wants, and you played right into it. I’m sure that’s fine with you, but promoting that type of business practice is control over the people, and I don’t agree. It is frustrating to try and fix though, that I do agree with, but there needs to be better ways around this without a factory reset of the phone. Thanks very much, method 2 worked for me on my Samsung Note 10.1 N8000. It was driving me crazy! Thanks for the help. I tried everything I don’t know what’s wrong someone help! I did all of these methods and I’m still receiving the rh-01 error. My phone was fine just a few days ago. No new apps installed recently. My first inclination something was wrong is when i used maps. It would not retrieve my location. I went to update the map to see if this fixed the error and that’s when i got the error. Is there another method? None of the 3 Methods worked. And why does both Method 2 say “this will definitely work” and then Method 3 says “If your problem is still not solved or fixed by the above method then this will definitely fix this issue” ? LOL! I feel like throwing my 3 year old Android into the fireplace- or through a window. Android is a POS. Give me Linux (REAL linux) or Windows anyday! Hi i have tried all the above mentioned but i still have the same error .i ever reset my device to factory setting.my device is galaxy player 5.8 .any other options? all above do not work tried them repeatedly. I am facing error RH 01 and tried the steps mentioned above, but I can not fix the error. I want to tell that my calendar storage app is showing disable button but not in working…I mean to say I can not do disable- enable it…is this linked with this error? Please provide solution for this asap. I have tried all these methods and I’m still getting the error rh-01 when opening the Google Play Store app. What do I do now? Had problems with a code 941, told me to clear cache and data on the google services framework. did that and am now getting the error message on the play store. i have literally done everything. i have cleared the cache and data on the play store. removed my google account. and added a new one. i have cleared the cache and data on the play services. uninstall updates for the play store. i have restrted my device, i need help. im using a hp pro 10 tablet. running kitkat. This actually worked, removing the account clearing cache then re-adding account after a restart. Thank you! None of the above cleared the RH-01 error. Samsung Mini 111. April, 2017- I tried ALL of the above. NO GO! And searched a MYRIAD of other places on the internet for a solution to this problem, believe me! My Android phone is now virtually useless. Except as a phone of course. I like the part where you suggested “remove your Google account” and then re-enter it. Unfortunately there is no REMOVE tab. And everything leads back to this idiotic “Redeem coupon” page and then the RH-01 error. Looks like I’ll have to take the battery out of this virtual brick. Hey guys I might have found a fix for the Google Play Store with this error. After you have done everything else, uninstalling updated versions of apps using the Settings > Apps on your Android phone so that Google apps will sync with your account, and also removing your account “older Android 4.4 versions can do this by going into Accounts > Google > “Click your account and look for the syncing apps with a check box next to them” > click the phone’s actual button on the bottom right if you have an older phone and remove account. If you have done this from other websites and videos even with Google Play Services and all other ways of clearing cache, clearing data, and uninstalling updated versions with forcing stop and restarting the phone, got all the way to the Google Play Store having this error and only this error up to this point where it won’t let you passed it.. here’s what I did, this might work for other new phones as well. Keep in mind.. I had this error and other apps not working or updating as well for a couple years now on this phone, but after the solutions below.. it works again with the Google Play Store. I did hours upon hours from last night to early this morning to find solutions, went away from my phone and back to it to try more things, and looking from more sites and youtube videos. I’ve had another app installed for a long time, even before this error on the phone. Find and download an app called Aptoide and then install and open it. Do a search for Google Play Services within the Aptoide app’s search bar. Much like the Google Play Store, Aptoide will have apps to download. Once you see a much newer version such as 11.0.45, click on it and download only this. Once it downloads, be sure to be there when it finishes or you might have to download it again, it should have the package downloaded the second time if you miss the installer. Ok once done downloading, install the app, it should say “app installed”. This should now allow you to see lots of new updates for your apps, even a Google Play Store update. Go into your Google Play Store, accept and click next, it works! 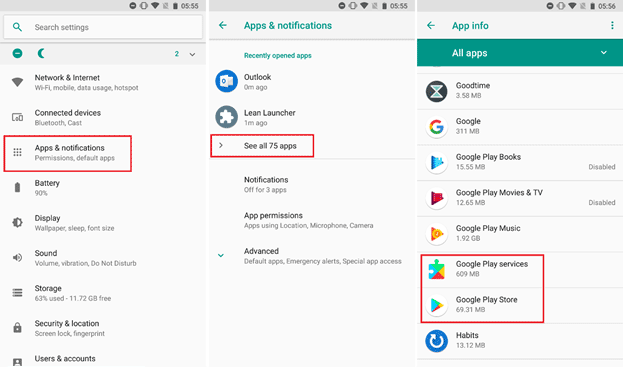 Also, close your Google Play Store, you now have a new Google Settings option as well, it’s the Google Play Services, I know this because you go to Aptoide and click that Google Play Services version again and click “open”, it shows these same settings. These are located when you check for installed apps to open on your phone, it should say.. “Google Settings”. These have awesome new features for your accounts and abilities to delete other google apps. Enjoy! Everything should now be working again! Again do this stuff after the other stuff you found from the web to fix other things first, such as removing account and clearing cache, uninstalling updates and forcing apps to stop, restarting the phone after and so on.. and then do the steps I gave with “using another app to install the latest Google Play Services”. Why didn’t Google or Android “the phone” have this as an option? Probably because Google didn’t want anyone to use another app to do this stuff just in case your phone might have been rooted, they want you to force yourself to “factory reset and default everything” because they don’t want you using stuff like game emulators or what you do with your phone, and they don’t want you to be able to fix the issue which is like probably a “lock out” security feature on the phone, it’s possible that it was also a version issue and Google probably knew, and they probably just didn’t want you to fix it for the same reason, they wanted you to factory reset and restore defaults instead of giving you an option, so they did it on purpose just in case you have game emulators or whatever you use on your phone, just a guess. Didn’t work this to my device. But follow steps helps me and this way must be helpful to you. (1).force stop google play store and google play service. 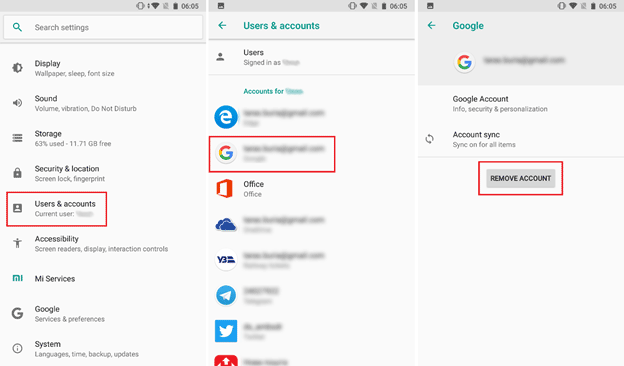 (2).remove your current google account. (3).download the play store apk app latest version from a browser. (5).after intalation go to settings and enable the disabled google play service app. (6).after that open play store and give your google account details. (7).after step by step login to play store you can use the app without error. Thank you very much. It’s working for my Redmi note 3 device. After trying endlessly with the other four solutions, I eventually executed the 2nd solution (Factory reset). Luckily most of my data were already backed up. My phone is back and we’ll with all information intact. Yes! Thanks so much guys. The last option worked for me. The very last one. Extremely helpful & so glad I clicked. Like really.